Like humans, dogs can become unnerved by severe stormy weather. Unlike humans, they don’t always understand what’s happening or how to stay safe. 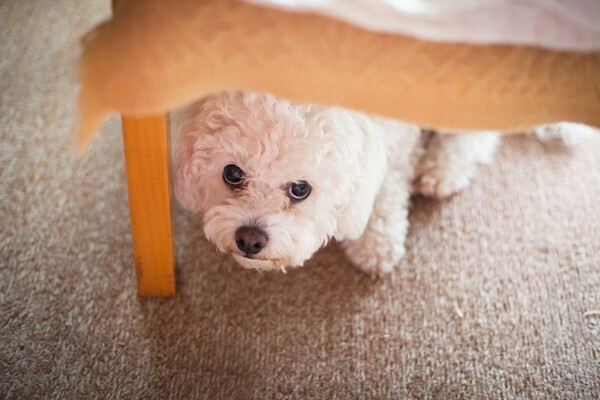 Hiding dog. Photography by Shutterstock. Choose a room with enough space for everyone to wait safely. 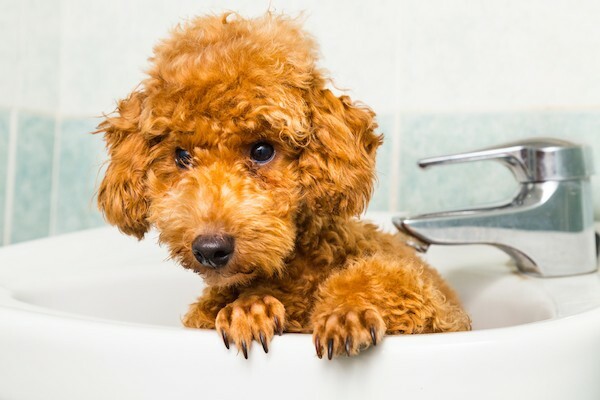 Dog in sink. Photography by Shutterstock. Then contemplate the complexities of herding a harried preschooler, a skittish Schnauzer, and a testy Pekingese into a single confined location while the clock is ticking. See why practice drills are important? Take some time to sit in that chosen room with your canines. Use lots of treats and positive praise to make sure they come to associate the area with safety and reassurance. 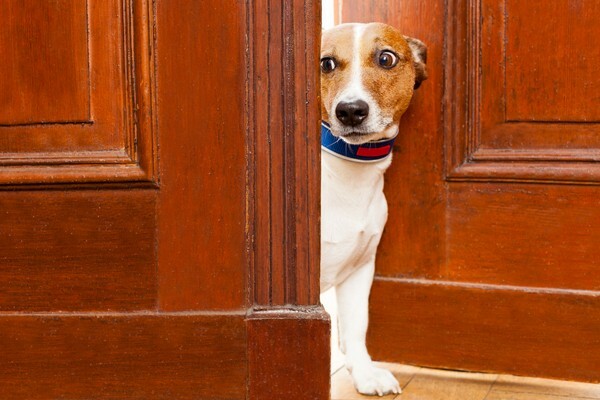 Even if your pup appears extremely anxious, always reward him profusely for following you to a designated safety room or exit. Advance practice is key. Dog in a doorway. Photography by Shutterstock. Having a grab-and-go pet disaster kit prepared in advance can save precious time. Select a roomy bag, then stock it with necessary medications, a supply of canned food, bottles of water, health records, copies of tags or vaccination certificates, a favorite toy, a towel or shirt with your scent, and a list of emergency contact numbers. Also include a calming aid like Bach Rescue Remedy, Ark Naturals Happy Traveler Chews, or a soothing Thundershirt. Add some small paper plates, plastic spoons, a pill cutter, and a manual can opener. Taking advance precautions can reduce the chances that your pup becomes separated from you — or winds up out alone on the road — in the event of a storm. Dog in stormy weather. Photography by Shutterstock. 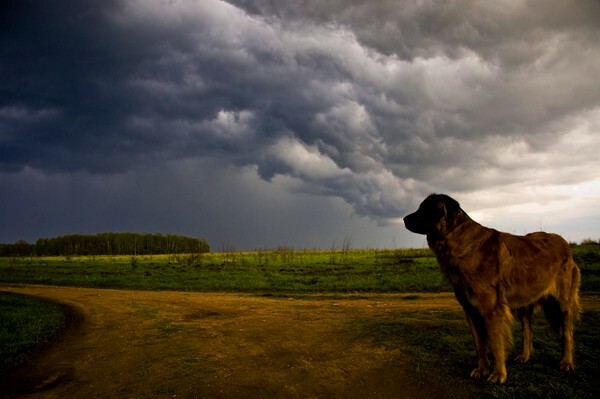 The post 7 Storm Preparedness Tips for Dog Owners appeared first on Dogster.